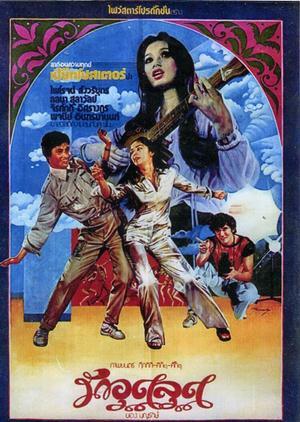 Piak Poster is famous for having done the first successful Thai teen movie in 1976 (Wai-on-la-won). He has also directed many romance movies. Most of his romance movies finish tragically. 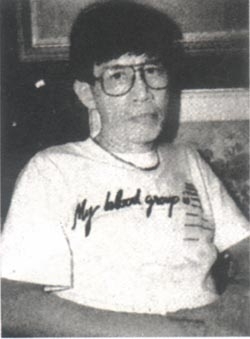 He also known as Somboonsuk Niyomsiri (สมบูรณ์สุข นิยมศิริ). His movies differ from conventional 1960s style so he was hailed as a new wave director (ชู). He directed 27 movies. Piak Poster began as a painter of movie posters, so earning the pseudonym that stuck even after he became a famous director. This Piak Poster movie page contains 13 records. This movie is about the impossible love between a young man and a married woman older than him. The action takes place in Japan. The movie highlights the restricted existence of unmarried women and the pressure for them to marry, whatever the circumstances. 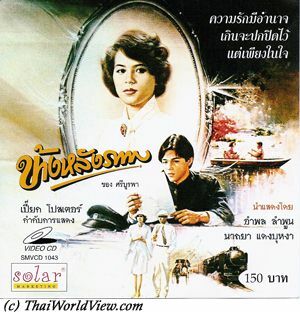 This movie is based on a romantic novel written by Kulap Saipradit (กุหลาบ สายประดิษฐ์). Behind the Painting is widely regarded as one of the best-written novels in the Thai language. 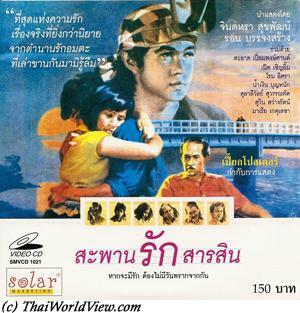 This movie is the third part of the movie serie "Wai On-la-won" (วัยอลวน). O (โอ๋) and Tam (ตั้ม) are now a happy married couple. O's father gets convinced to participate in a bus company business and has to buy shares. He needs to pay 200 000 baht. Tam is a nice husband but still likes to flirt with ladies and go for lunch with them. Sometimes he has a party with friends and his monthly salary is gone! He is so happy when he believes that O is pregnant but she has only a minor tiredness. O's father has given the money but didn't get any official reconnaissance papers as promised so got cheated (โดนโกง). Somchai, their relative (ญาติ) and domestic helper (คนรับใช้), gets biten by a fierce dog and has scars. The owner only gives 20 baht for compensation. He is the same guy who promises to sign documents regarding the loan from O's father. Tam asks for 200 000 baht compensation. Refusal is received and the issue has to be settled at tribunal (ฟ้องศาล). Tam enquiries to get proofs that the dog belongs to rich bad guy. Tam claims her relative was going to play in a movie to justify the important money amount. Trial starts but witnesses used by Tam cannot match the strong opposition from the lawyer. Family life go on for Tam and O. Tam buys a car. His musician skills are also well used in various occasions to play modern Thai music. Two songs from this movie became hits. His friends bring him to a massage parlor (อาบอบนวด). There he meets a masseuse that presents him a friend wishing to become a movie star. He convinces her to play her best performance during the trial if she wishes to get employed by his friend. It works so well! The movie highlights poor people fight against rich dishonest people. 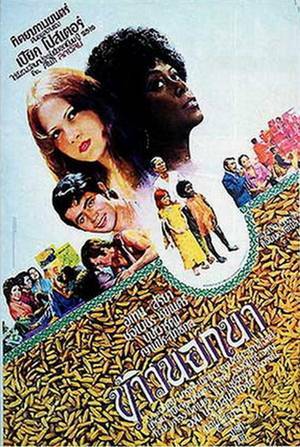 Piak poster movies reflects an image of Thai society with its good aspects and bad aspects. They are a joy to watch. Tam is now a junior lawyer (ทนายความ) but he wishes to get a new job as he doesn't fit well with lawyer job requirements. He is too nice to be a strong lawyer. While going to his new work, his taxi hurts another car (ขึ้นอุบัติเหตุ). There are arguments as Tam helps the taxi driver to get more damage fees from the rich car owner. The rich owner car is his new boss! So Tam quits his new job. He finds a new job as fire extinguisher seller but it is a failure again (ตกงาน). So finally Tam finds a job as model (นายแบบ) for a modern clothes designer. He meets Nit, a lady working as singer and model. Tam wishes to have friendship only. O starts to be jealous as many ladies like pictures of Tam in magazines. Tam doesn't understand O's reluctance (ไม่เสียอะไรเลย). To challenge him, O becomes a model also but Tam cannot stand other men commenting about his wife. They both stop this job. They finish their model career dancing on a podium with flashy clothes as it was the disco era. Tam still meets Nit but as a friend. Tam is hiding money from his wife as pocket money. Tam knows Nit's elder sister as he is the one to condemn her when he was still a lawyer (กลุ้มใจ). Will this friendship turn into love? Tam starts to go back home late and giving bad excuses. Et, a photographer, also loves Nit. O sees Tam and Nit in a car. Troubles happen (เรื่องใหญ่). Tam argues that Nit is already Et's girlfriend. Nit asks Et to play her boyfriend role to avoid troubles between Tam and O. Finally Nit falls in depression as she loves Tam but Tam is already married. Et helps her to recover and to forget Tam. Tam finally finds a job in Bangkok bank and happy couple life is resumed with O. This is the second opus of Wai On La Won by director Piak Poster. Same recipes as previous movie Wai On La Won (วัยอลวน) are applied, i.e. modern songs such as ชูวับ ชูวับ, use of English words in Thai sentences. The movie made 9 millions baht at the Thai cinema box office. Tam (ตั้ม) is an university student. He takes additional jobs as he doesn't come from a rich family. He rents a house to a strict owner, who has two daughters. Tam tries to seduce the first daughter but she is already engaged. Tam is an evening teacher (อาจารย์) and teaches the second teen daughter called O (โอ๋), who is quite stubborn (ดื้อ) and not willing to learn (ไม่ตั้งใจเรียน). The father believes O is having an affair with Tam. The father is old style (แบบโบราณ ). He decides to send O every day (จะส่งเรียน) to school. Tam continues to support her secretly through messages hidden in books (No sms and chat in 1976!). Love emerges between O and Tam despite the father's surveillance. Tam needs to use tricks to deceive the father. In parallel Tam is still following lawyer studies. He needs to find trick to get money to finish to pay his studies. The father threatens Tam to force him to leave but to no avail. Finally O and Tam can get married. 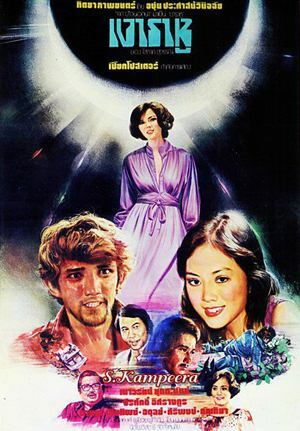 This movie serie by Piak Poster included four opus, i.e. 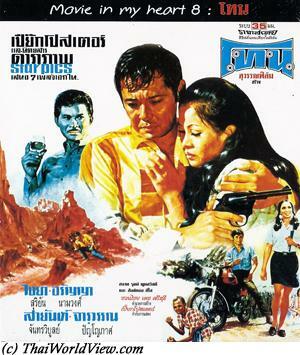 วัยอลวน (1976), รักอุตลุต (1977), ชื่นชุลมุน (1978), วัยอลวน 4 (2005). 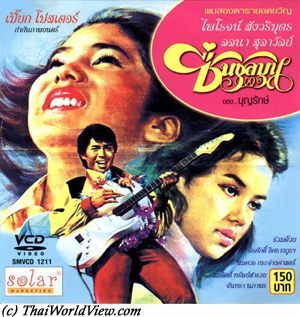 This first opus was a break with 1970s movies as it was the first successful teen movie including new modern actors (Phairoj and Lalana) and especially modern music. It was the first teen movie, which changed the local trend where the main actor had to be always polite, good looking with a robust body. 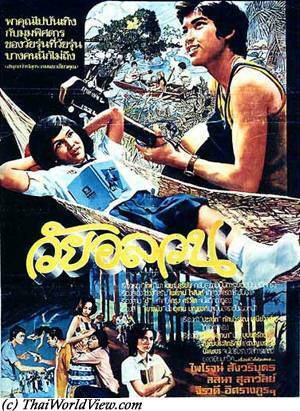 The director, Piak Poster, used a new actor, Phairoj Sangwaribut, who was quite slim. At the beginning, the movie was a failure. No theaters were interested to show it as the 6th October 1976 sad events just happened. Piak Poster shown it to the students and good feedbacks started to spread. Nice modern songs and guitar performances helped to popularize the movie. Finally it reaped 8 millions Baht. ตั้ม and โอ๋ became popular nicknames in that period.